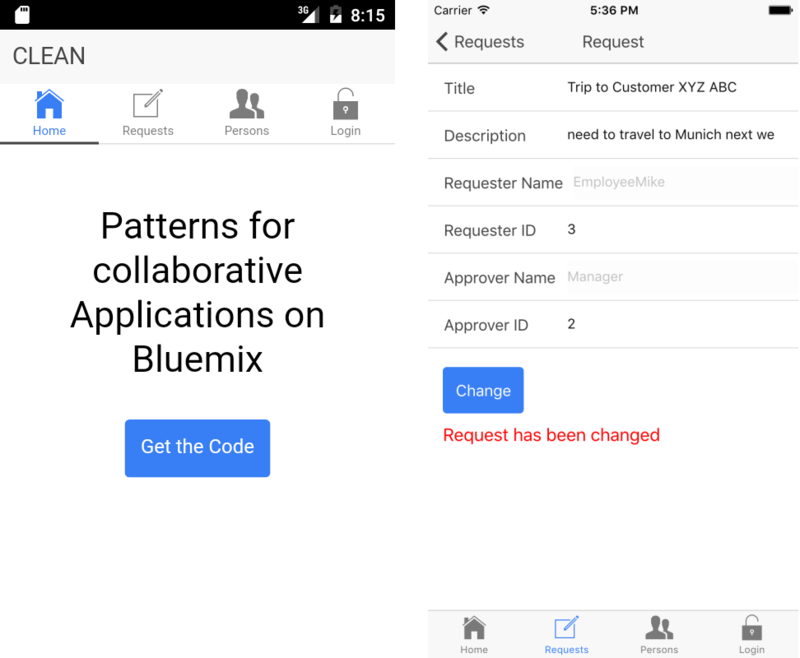 The sample application demonstrates how to build mobile apps for a simple Approval Request scenario. Approval requests have titles, descriptions, requesters and approvers. Via Cordova the apps run as hybrid mobile apps on Android and iOS. Here is the code snippet of the controller that returns all approval requests. The class ApprovalRequest is provided by the LoopBack SDK. Note that the code of the controller is identical to the controllers used in web applications. For details check out the sample on GitHub. How fine grained is loopback’s ACL? Can it restrict modification access to specific properties in an object? Is it possible to allow a second user who is not the creator of the model to modify only the “request_status” property because we want the app to prevent another user from setting the task to “complete” before it is approved by the task creator?